(per ball) Approximately 120 metres (131 yards) per 50g ball. Hand wash cold. 14 designs by Amy Butler and Lisa Richardson using Belle Organic DK and Belle Organic Aran. A fresh collection of decidedly modern inspirations that mix in a sophisticated urban edge touching on fashionable silhouettes with a contemporary voice. It's easy elegance combined with feminine detailing that give these projects their signature style. It's that sweater you can't stop wearing - the perfect hat that looks amazing with everything. 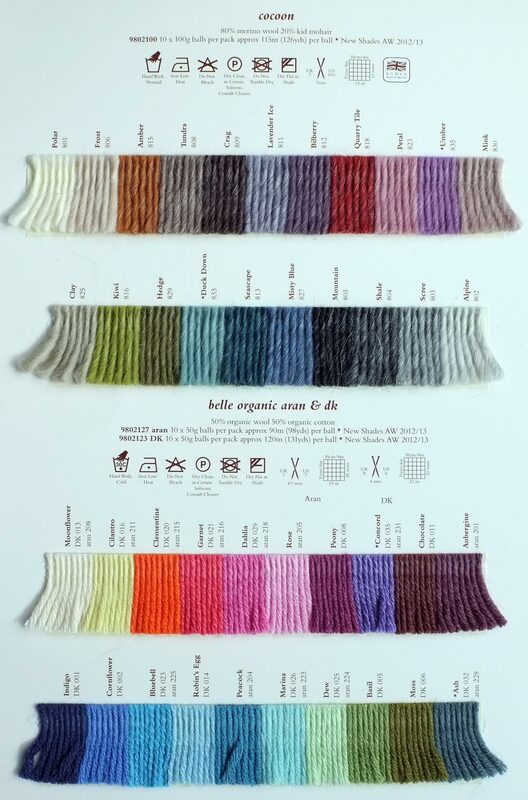 15 designs by Amy Butler using Belle Organic Aran & DK. Cover ups of natural glamor, delicate like a fern, & layered with modern pattern are paired with cozy blankets and accessories to provide romantic comfort.